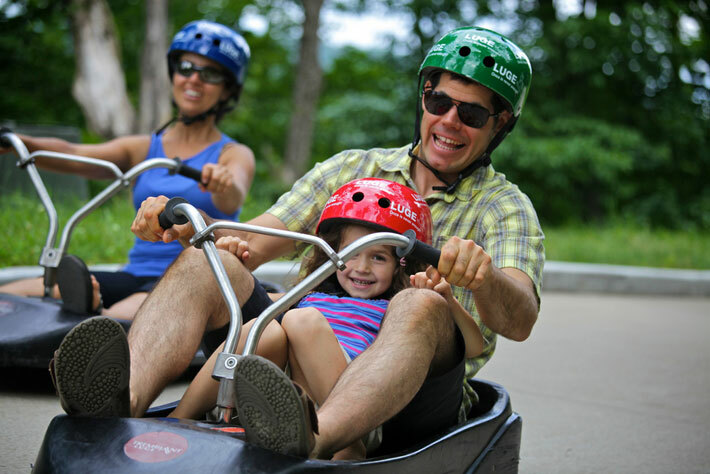 We are expecting you in Tremblant this summer to come and enjoy the many planned events, festivals and activities. Off course, don’t miss the sporting event of the year, the Ironman Mont-Tremblant, coming back in August strong from its nomination as North American Ironman Championship. Other major sporting events will be greeting you as early as end of May, such as the Vélo Motion Mountain Bike Canada/Quebec Cup, followed by the Triathlon de Mont-Tremblant, the Ironman 70.3 Mont-Tremblant and the 24h of biking, among others. If you are fond of music, you will be pleased by our 300 free shows featuring local and international artists throughout the summer. Thus, at the end of June, Les Rythmes Tremblant will showcase the talent of nearly one hundred artists over every summer weekend. The Tremblant International Blues Festival’s 20th anniversary will also tug at your heartstrings in July while Angèle Dubeau will host the 15th edition of the Festival de la Musique to end the summer in style. In addition to the many music festivals and sporting events planned, the pedestrian village will welcome you with 15 different activities such as the Panoramic Gondola, mini-golf, climbing tower and luge. Many of these activities will be open as of May 18. Finally, this Friday, May 10, golfers will be able to start their season on Le Diable, while Le Géant opens its doors on May 17. We will shortly have the honour to introduce our new golf ambassador, Jérôme Blais, winner of the AGPQ pro circuit’s 2012 Coupe des champions et pros du Québec, who will be hosting performance camps throughout the season. We look forward to seeing you this summer in Tremblant!